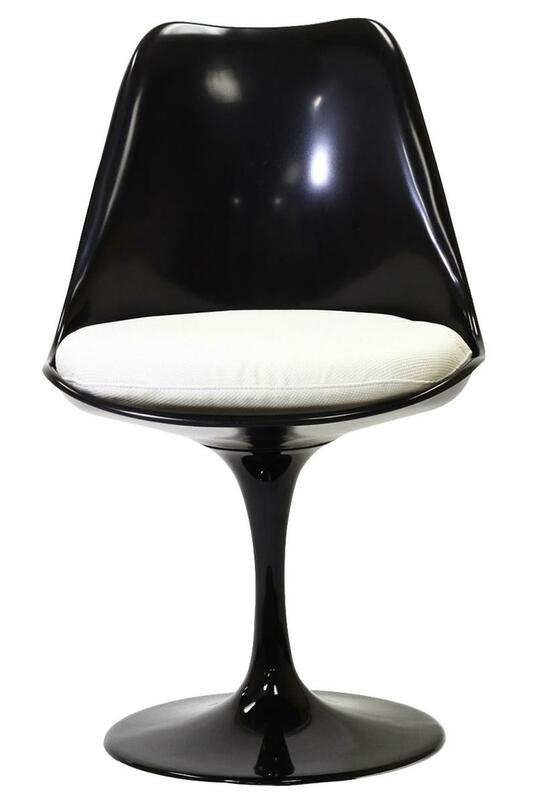 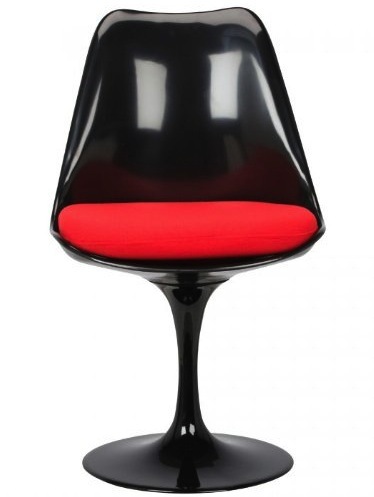 Tulip Side Chair is a high quality reproduction of the original design by Eero Saarinen, 1956. 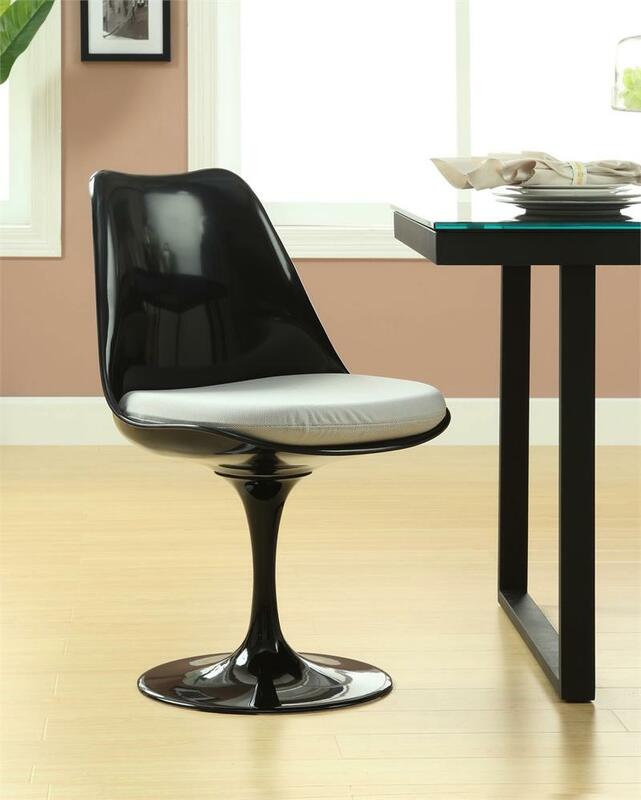 This chair features a molded fiber-reinforced polypropylene shell and aluminum base which swivels, and your choice of color for the fabric seat cushion. 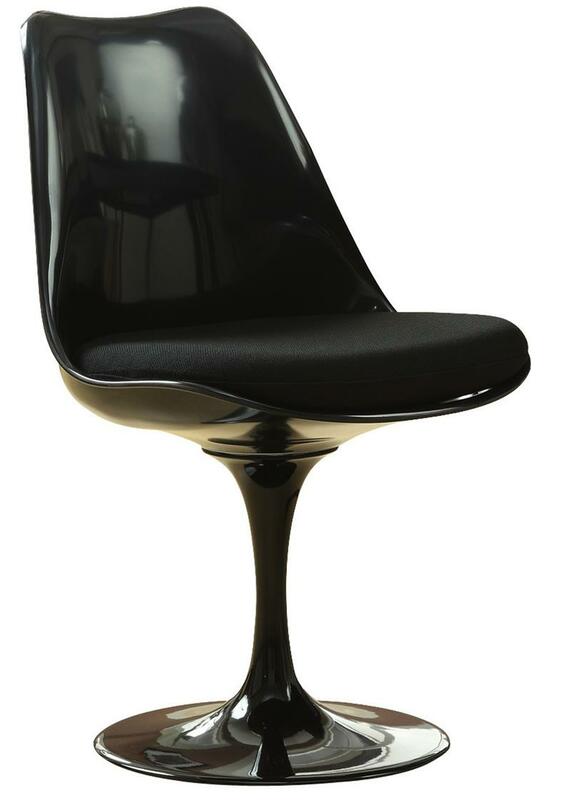 As in all of Saarinen's designs there are no sharp edges, and the curved smooth lines of Tulip Side Chair with black frame will delight. 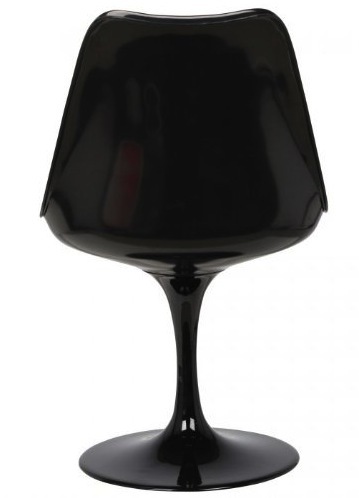 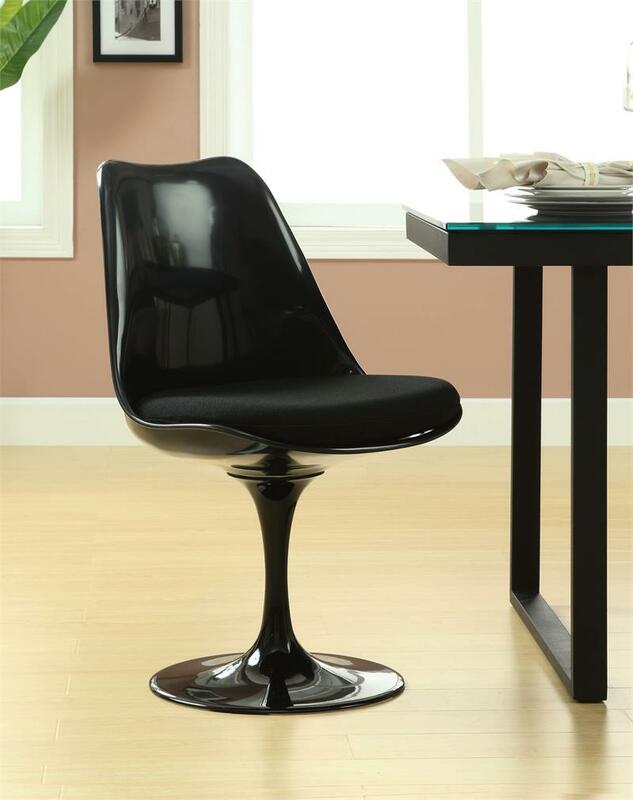 Our Saarinen style black tulip chair is both comfortable and beautiful, and offers modern styling for your home or office.